Humans are the most complex animal and we regularly make our family structures and lives more complex than ordinary simple estate planning can cater for properly. I am referring to blended families. Not only do interpersonal relationships between the people in the family become more nuanced, but financial structures and testamentary intentions become complicated. This complexity in family structures, family relationships and family finances then has to be carefully considered when preparing the estate plan. The common scenario is – a person marries, has children and after some time separates, divorces and finally re-partners. In this second relationship the parties want to know how they can make their wills in a way which provides for each other, as well as for their children from previous relationships. Jane Green is in her 50s, has 3 adult independent children and is divorced. She meets and marries John Brown. John is also in his 50s, has 2 adult independent children and is recently divorced. • cash and investments of $750,000. • $650,000 in listed shares within his self-managed super fund (SMSF). They are living together in Jane’s house. In her estate plan, Jane wants to provide that John can live in her home for as long as he likes but ultimately she wants the home to pass to her children. They each promise not to change their wills i.e. they make a contract not to change their wills or do any other thing which might frustrate their wills e.g. John would not be able to sell the property. Mutual wills are powerful legal documents. John’s obligations would be binding on him and the Supreme Court would enforce it (presuming Jane dies and upholds her end of the contract). The risk with mutual wills is that they are a highly inflexible arrangement and only work for the family if their circumstances are predictable and indefinitely remain as the parties thought they would when they made their wills. Life however can throw up curve balls and make them inappropriate. For example, what if Jane dies, John inherits the house, John remarries, John separates and then he offers to provide the house or the sale proceeds from it in satisfaction of his property settlement with his third partner? What if John goes bankrupt and the house is sold to meet the debt to his creditors? What if Jane’s children have inheritance impatience and they make a family provision claim against Jane’s estate? We don’t raise these challenges to demonstrate that mutual wills are never suitable, but to say that they must be approached with care and with an awareness of the risks. Jane could in her will grant a life interest in the property to John, with her children as the remainder beneficiaries to receive it on John’s death. This would mean that John would be able to live in the property rent-free for his life. He is also entitled to all income from the property and would be able to rent it out. All capital repairs must be paid by the estate. Again, the problem with a life interest is the lack of flexibility. John would not be able to raise finance against the property. He would have no incentive to improve the property or even properly maintain it. A life tenant has an obligation not to damage the property, but no positive obligation to conduct or pay for any repairs. For this reason many houses which are the subject of a life interest, fall into disrepair and are substantially deteriorated by the time of the death of the life tenant. The property also suffers from not being redecorated e.g. no new paint or carpets or renovations. The life interest relates to that property only, and is not portable to a separate property. John also has no interest in the property to assist him to pay for aged care (if thought necessary). 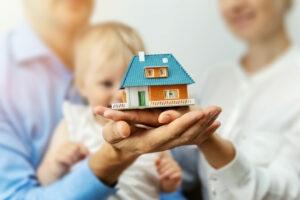 However depending upon the property, and if the remainder beneficiaries are not immediate family members, life interests can be worth considering. on termination of the right to reside, the property passes to Jane’s children. The advantage of a right to reside is that its terms are more flexible than a life interest. They can be tailored as desired with particular terms. The disadvantage is that John does not have any interest in the property, he cannot use it for security and cannot raise any money from it. It is possible to include a right to income from the property in a right to reside, however one must be careful that the right to reside is not so fulsome that it transcends a mere licence and becomes an interest in land akin to a life interest. The right to reside can be fixed to that particular property, or can be portable, allowing the property to be sold and replaced with a more suitable property, if allowed by the executors of Jane’s estate (who are the owners of the property during the right to reside). A testamentary trust can be utilised to achieve the same effect as the above options but with substantially more flexibility for the distribution of income. Jane could establish a hybrid discretionary testamentary trust of which John and one of the children were trustees. John would be entitled to income, but not capital, from the assets of the trust and would have a right of residence in the property owned by the trust. Jane would leave her house to the trust. If Jane desired, she could also leave some income-producing assets to the trust. The children could also be income beneficiaries if desired. income can be distributed to tax advantaged individuals. The trust could lend moneys to John to assist with his aged care if thought appropriate. The decision of the controllers of the trust (i.e. the trustees) and the appointors is the most critical decision in the establishment of a trust. Family dynamics and personal dynamics between the parties would need to be considered. It may not be appropriate to have a child and a husband together as trustees and, instead, it may be better that an independent person be trustee with John and in some cases it may be that John is not a trustee at all. The disadvantage of the testamentary trust option is that it is the most complex and costly to run, as the trust will need to lodge tax returns if it makes income. The complexity is not a burden if it can provide outcomes not available through other options. Which option is appropriate will be determined by circumstances and client preference. Jane and John and their lawyer(s) will need to work with their accountant and financial advisor to ensure the option chosen fits their financial objectives. 1 I wouldn’t pretend to have all of the options – the creativity of clients and fellow practitioners never ceases to amaze me.